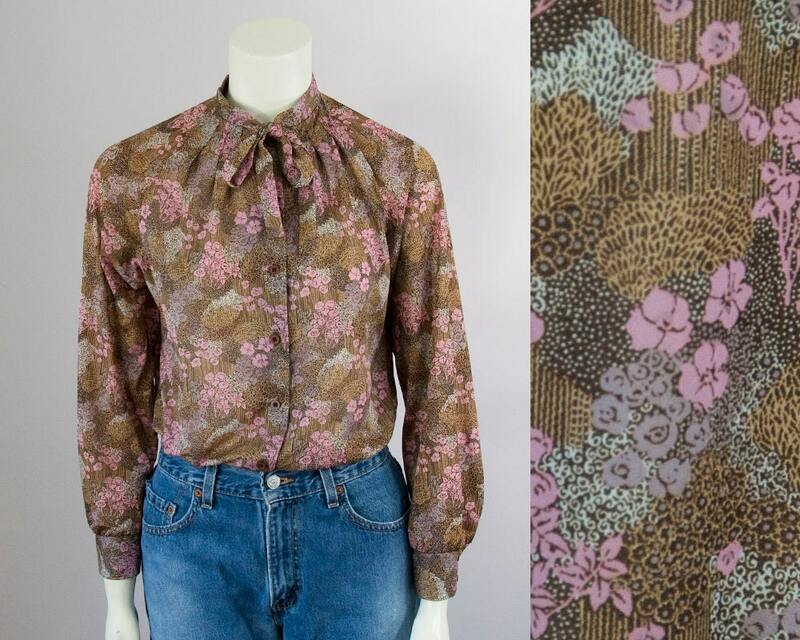 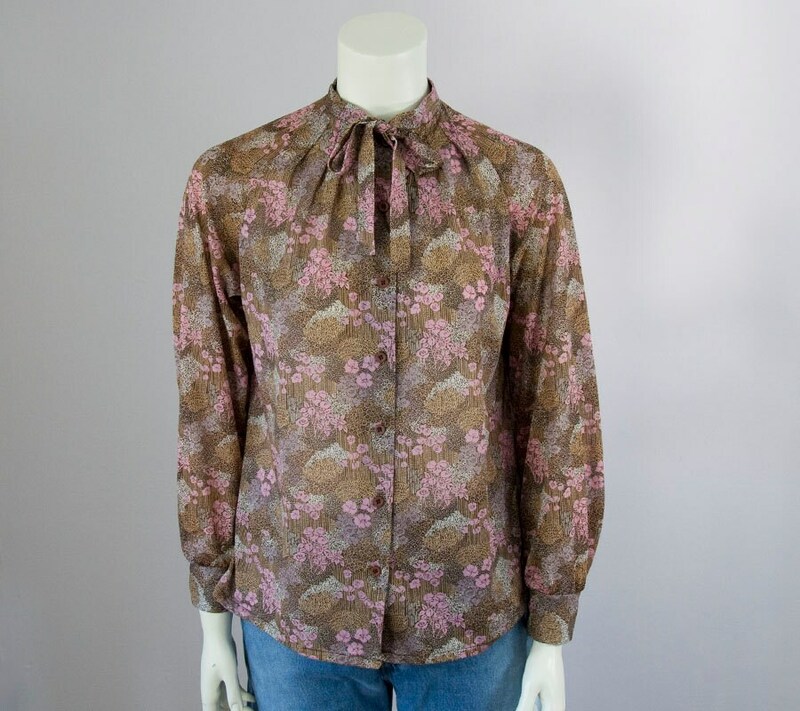 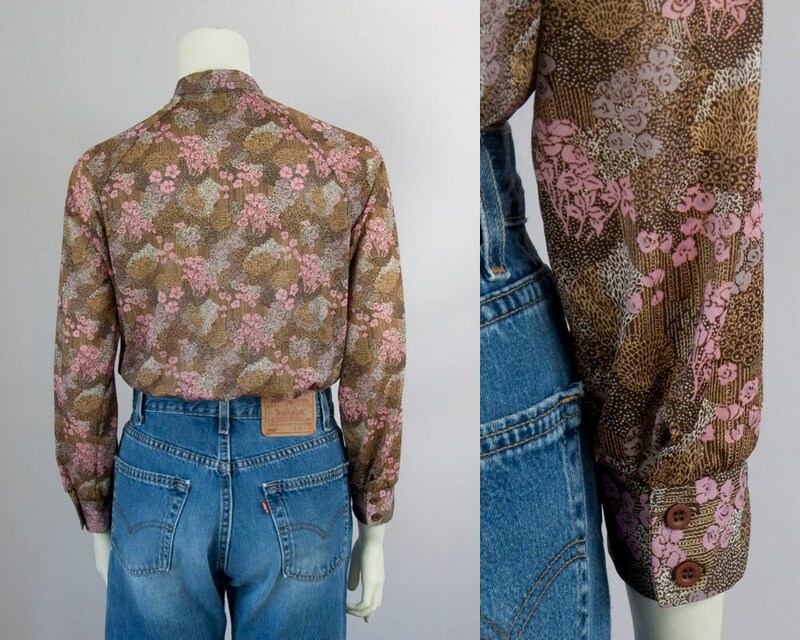 Pretty 70s vintage button down blouse. 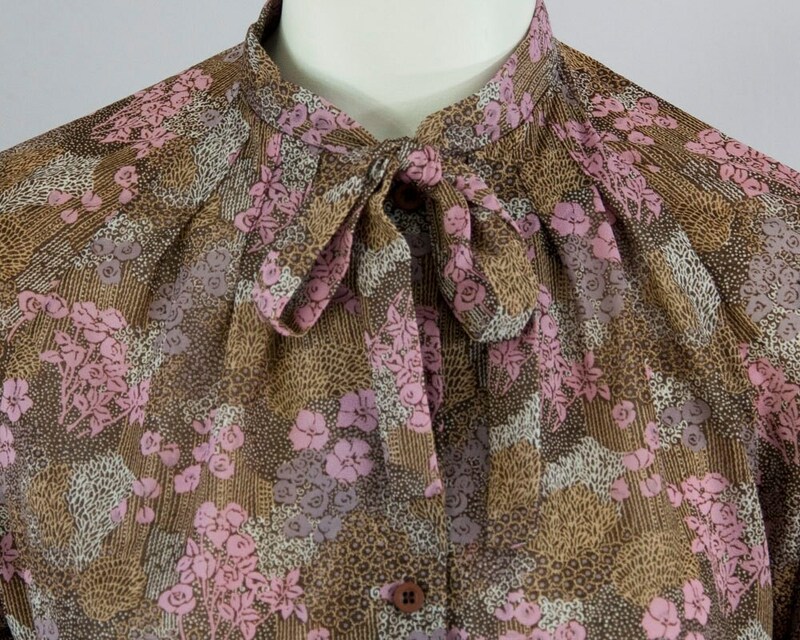 Brown with pink and dusty purple floral print. 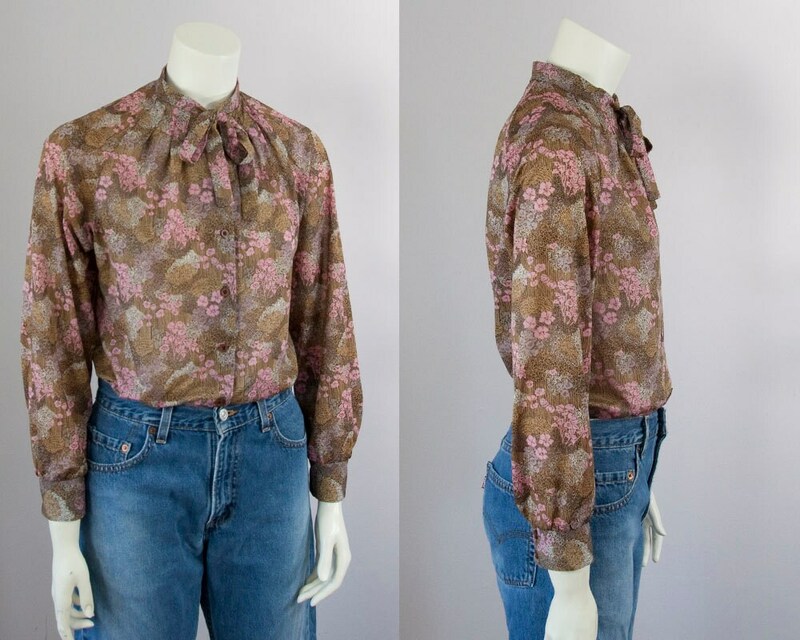 Neck tie and pleats.